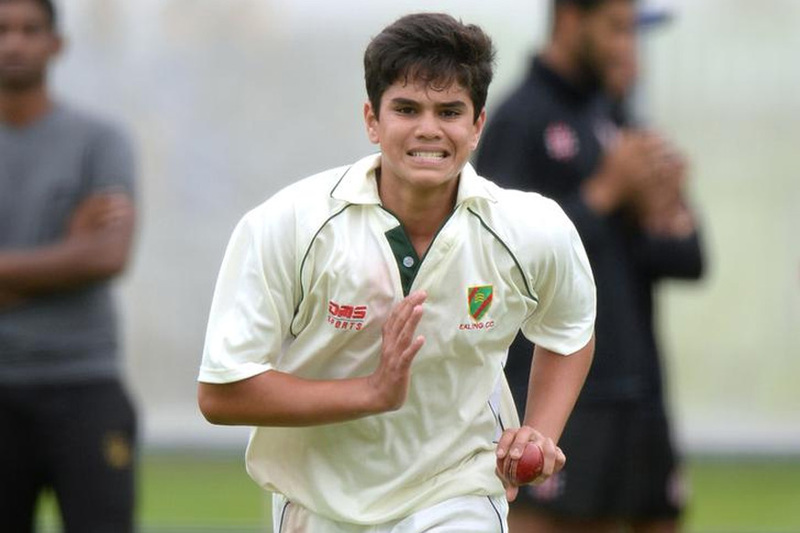 On Wednesday, at Lord’s cricket ground, Sachin Tendulkar’s son Arjun Tendulkar gave an injury scare to England wicket-keeper Jonny Bairstow. Arjun was practising with the England cricket team as they were preparing for the first test match between South Africa and England. Arjun bowled the well-directed yorker to Jonny Bairstow which struck on his foot that ultimately leads to injury and Bairstow was taken aback after facing only one delivery. According to the reports, the medical facilities were provided immediately to the batsman and there is no threat to his participation in the upcoming test series against South Africa. This is not the first time Arjun was seen practising in London. During every summer holidays, he spends some quality time with his family at their home in St John’s Wood, the prosperous neighbourhood near Lord’s. Arjun is a left-arm seamer and has played for the Mumbai Under-14 and Under-16 teams.